Maybe you’re a parent thinking about giving play therapy a try with your child … or maybe you’re a therapist questioning how “just playing” with a child could possible help. 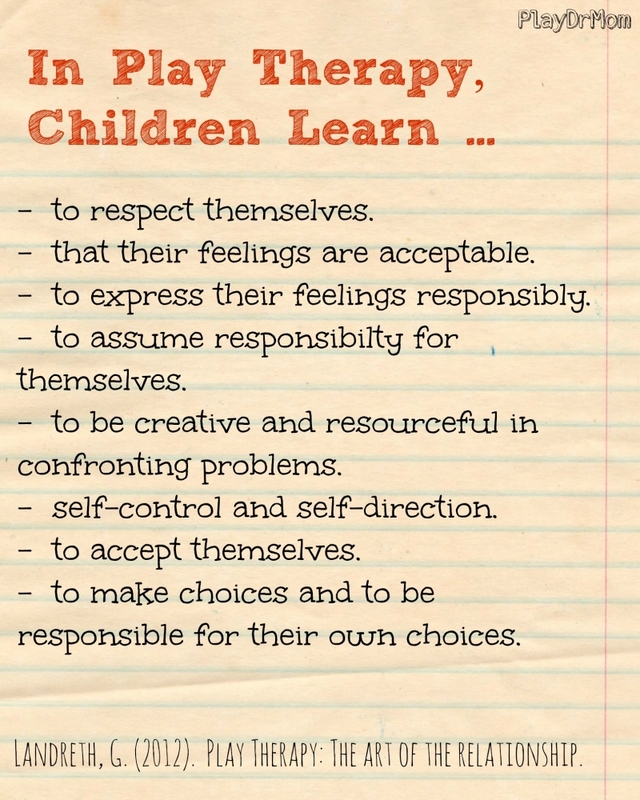 Here are some great reminders about what children learn in play therapy through the power of play and nurturing relationship with a play therapist. PLEASE feel free to save and print this image! Share with others and post in therapy rooms, offices, waiting rooms, class rooms, etc. If you’d like to know more about play therapy, check out my other posts on play therapy and visit the Association for Play Therapy’s website, www.a4pt.org. Follow Laura Hutchison’s board Play Therapy: Explained on Pinterest.